Saint Francis deSales - PB 160 pages -- 5.5" x 8.25"
If your life seems to make no sense, or if you don’t know which path to take, St. Francis de Sales will console and inform you. 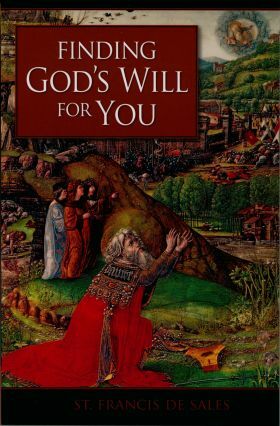 In this warm little book, he explains to you what God’s will is and how He reveals it — yes, even to you, and even in the seemingly random events of your life. No matter what you’re going through now (or may have gone through), you’ll see why you should love and trust in God’s will — and long for its fulfillment. Best of all, you’ll learn a sure method for discovering God’s will in any situation — today! As you begin to discern God’s loving hand even in seemingly chaotic events, St. Francis de Sales will lead your mind and your heart to the still waters of God’s gentle consolation. Four signs that your heart conforms to God’s will — does yours?